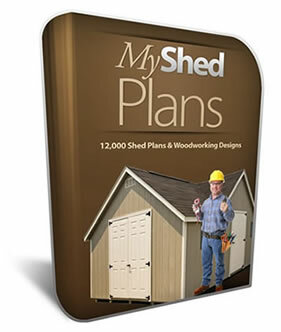 Save $20 on $67 = $47 for "Ted's Woodworking"
Save $10 on $37 = $27 for "My Shed Plans"
Save $10 on $49 = $39 for "Woodworking For Home"
Steel-reinforced shelving system allows you to store and organize your tools. There are five (5) 30"x10" shelves and two (2) 30"x14" shelves included. Pegboard (two (2) 16" strips) with metal tool hooks gives you an additional storage option. 2 large polycarbonate skylights provide natural light. Thanks for an idea, you sparked at idea from a angle I hadn’t thought of yet. Now lets see if I can do something with it.